EAST AURORA, N.Y.--(BUSINESS WIRE)-- Astronics Corporation (Nasdaq: ATRO), a leading provider of advanced technologies for the global aerospace, defense, and semiconductor industries, announced today that the FAA recently granted Parts Manufacturer Approval (PMA) for the next generation of LED Landing and Taxi Lights, provided by its wholly owned subsidiary Astronics Luminescent Systems Inc (LSI). 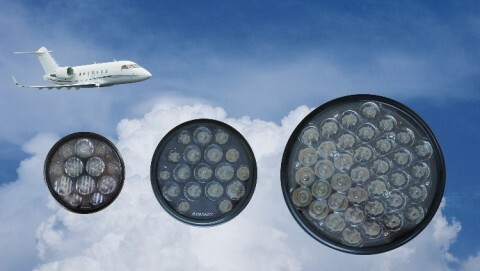 With this designation, these advanced LED lights are approved for use on commercial, business, and general aviation aircraft. Astronics LSI will showcase its landing and taxi lighting solutions at the National Business Aviation Association Convention & Exhibition (NBAA) in Orlando, FL, from October 16 through November 18, 2018. For more information visit Astronics LSI in booth #214. Note to editors: The Astronics LED Landing and Taxi lighting system will be on display at NBAA, in Orlando FL, October 16-18, in the Astronics booth, #214. Please contact press@astronics.com to set up a media briefing.